Octane magazine recently brought one of its long-term test cars along for a remap. 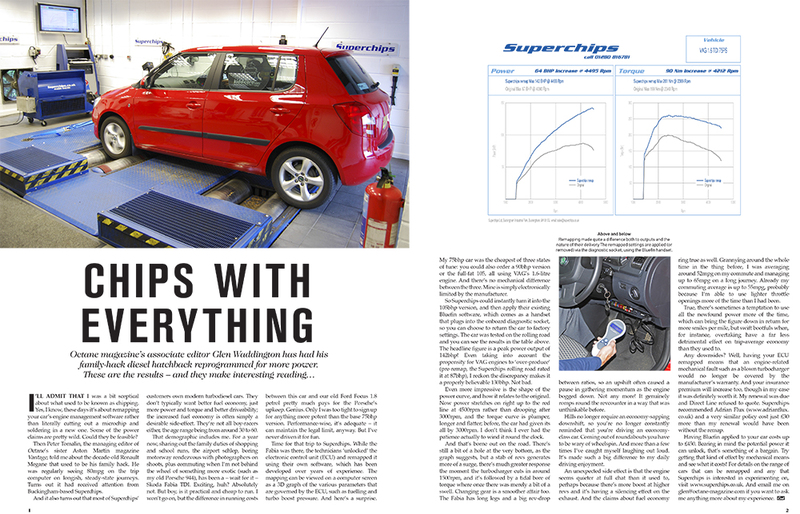 Evo tests Superchips’ Volkswagen Polo GTi ECU remap for (180PS) 1.4 TSI twincharge model! “There’s a polished, factory feel to the upgrade, and it certainly makes the Polo a more interesting car to drive,” Dobie says. “All told, though, an extra £455 to inject some polished extra potency into the wee GTI is good value. 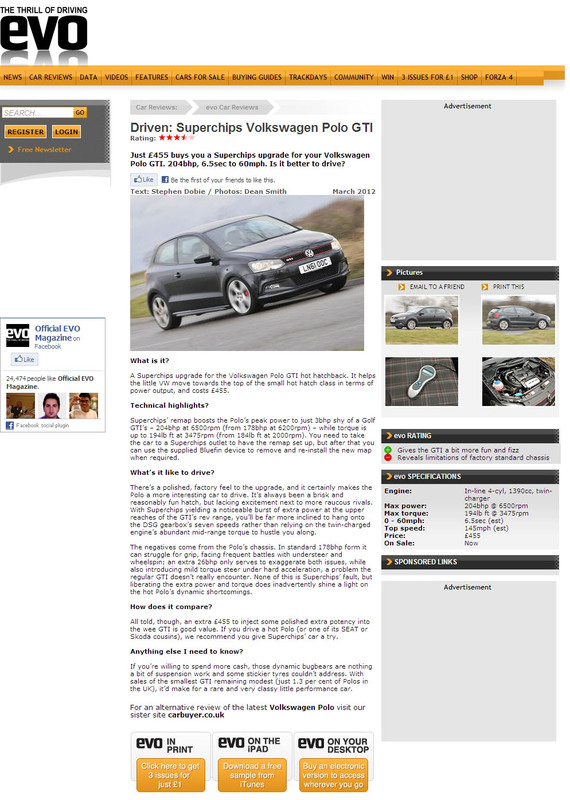 If you drive a hot Polo (or one of its SEAT or Skoda cousins), we recommend you give Superchips’ car a try,” he concludes.